Ariken Labs Pvt. Ltd. is a Microfluidics based healthcare technology and Lab-on-Chip diagnostics company. Some of our currently available technologies include microfluidic platforms for rare cell detection, enumeration and isolation in single-cell format, blood plasma separation by capillarity and acoustophoresis, detection of gasotransmitters, dengue diagnosis and CTC isolation and genotyping. We aim at developing microfluidic technologies for healthcare applications and LOC platforms for diagnosis of health conditions. Our mission is to develop affordable healthcare technologies to meet dire needs of the society and thus make them available to all of humanity. 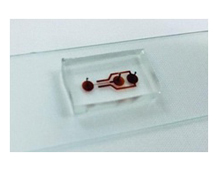 Microfluidic technologies, capable of being minimally invasive, accurate, durable, user-friendly and low cost, will lead the change to personalized medicine with significant impact on diagnosis and treatment of diseases. The healthcare industry is changing and advancing towards patient-centered setting. Therefore, there is an increasing need for the development of inexpensive and easy-to-use medical devices that provide timely health status information at the point-of-care. The global market for POC diagnostics is expected to increase to $34.6 billion by 2021. The Indian Diagnostic market is also encouraging and is expected to reach 860 million INR by 2020. Ashis has been a faculty member at IIT Madras in the Dept. of Mechanical Engineering since 2010. He has prior experience working at Epigem Limited, an UK based microfluidics product development company, and takes active interest in developing low-cost healthcare technology platforms. 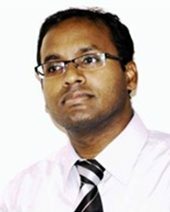 He has received several awards at national and institute levels in recognition of his work including the Young Faculty Recognition Award (2017), Institute Research & Development Award (2017)- Early Career Level, INAE Young Engineer Award (2013) and IEI Young Engineer Award (2013). He holds a BE degree from NIT Rourkela, ME degree from IISc Bangalore and PhD degree from USC-Columbia, USA. 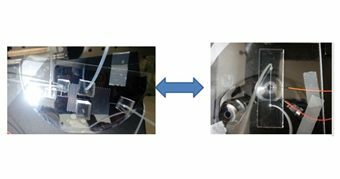 The acoustophoresis-driven blood plasma separation device offer higher plasma recovery at high throughput. This continuous plasma separation device can be used for high volume plasma separation. Also the device can integrated with sensors and used for continuous monitoring of analytes, for example, online analyte monitoring at hospitals during surgeries. 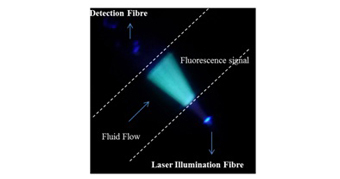 We have developed a microfluidic platform for fluorescence-based detection and isolation of target rare cells in single-cell format that is portable/affordable and will have significant impact on healthcare diagnostics, cell/molecular biology research. Systemic Inflammatory Response Syndrome (SIRS) is a significant contributor of mortality in road accident and paediatric patients in India. This is due to rampant infection burden and increased antibiotic resistance. Majority of these patients enter into septic shock and multi-organ failure. One-third of all in-hospital patients, greater than 50% of all ICU patients and more than 80% of surgical ICU patients suffer from SIRS induced morbidity and mortality with diminishing chances of survival due to delayed diagnosis and poor prognosis. Microbial tests are time consuming and the currently available biochemical markers lack specificity and are detected at later stages of sepsis. Thus, early diagnosis of sepsis in acute trauma patients is mandatory for effective management. Recent studies have highlighted the importance of nitric oxide (NO) and Hydrogen Sulfide (NO, H2S, H2O2) in detection and prognosis of sepsis due to their ability to predict immune-endothelial cross-talk. However, their measurement in blood in routine biochemical laboratories is difficult owing to their short half-lives and quenching by either free radicals, heme or atmospheric oxygen. Currently, we are developing a microfluidics based Lab On Chip (LOC) platform for continuous monitoring of the ratio of vascular gasotransmitters (NO, H2S, H2O2) for early detection and montoring of vascular health in sepsis. Recent estimate indicates there are more than 390 million dengue infections per year. In addition, the general clinical symptoms of dengue is similar to those of other febrile diseases. Hence, Accurate detection of dengue virus antigen is critical for appropriate treatment. Currently available paper-based Rapid Diagnostic Tests are have poor performance profiles in terms of sensitivity and false positives are found with serological tests. Therefore, development of a microfluidics based LOC colorimetric detection platform would enable us to perform easy-to-use, accurate, low cost and rapid detection of dengue. We are currently developing a colorimetric based diagnostic device for Dengue NS1 antigen detection integrated with a blood plasma separation module. This simple, inexpensive, accurate device will help in clinical management, surveillance, outbreak investigations to prevent or control epidemics. Efficient isolation of all CTCs followed by effective characterization could be a very useful tool for diagnosis and prognosis in cancer patients. CTC enumeration and genetic profiling of single CTCs may provide deeper insights into metastasis, which is important for personalized medicine applications for effective drug treatment. Among the existing cell-separation methods, acoustic-based approaches provide significant potential to preserve the phenotypic and genotypic characteristics of sorted cells, owing to their safe, label-free, and contactless nature. We have developed a novel method for size-independent isolation of CTCs by acoustophoresis. 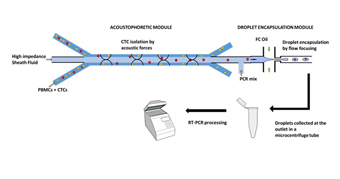 Integration of droplet-based RT-PCR with acoustophoretic CTC isolation will help in developing cost-effective platform for CTC analysis. PMMA devices: channel dimension: >20 microns width and depth. 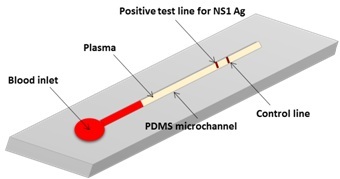 PDMS devices: channel dimension: >10 microns width and depth. Silicon devices: channel dimension >10 microns. 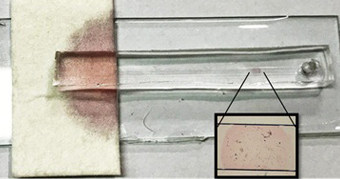 Integration of electrodes with PDMS, and Silicon devices. Multi-physics simulation to predict device performance. Design for ease of fabrication. Design for reducing device complexity. Design of microfluidic components: micromixers, micro droplet generators, microparticle separators/sorters. 3D focusing for micro flow cytometry.